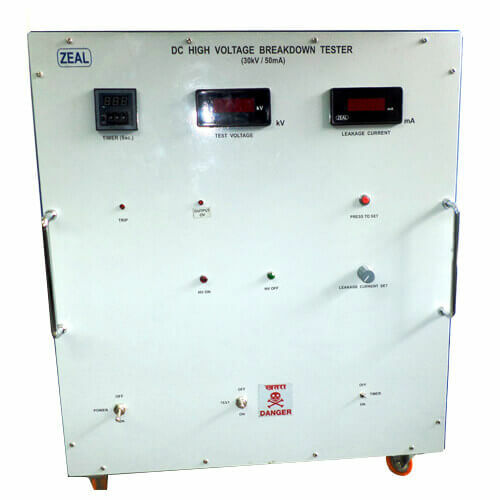 Leveraging the skills of our qualified team of professionals, we are instrumental in manufacturing and exporting a wide range of AC, DC, ACDC HV Breakdown Testers. 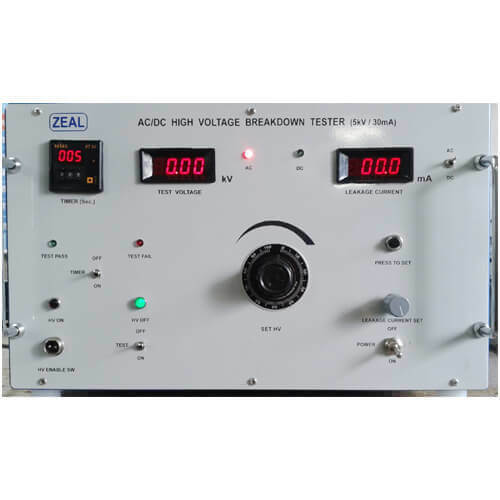 AC/ DC high voltage breakdown testers are specially designed for testing dielectric properties of various industrial appliances. 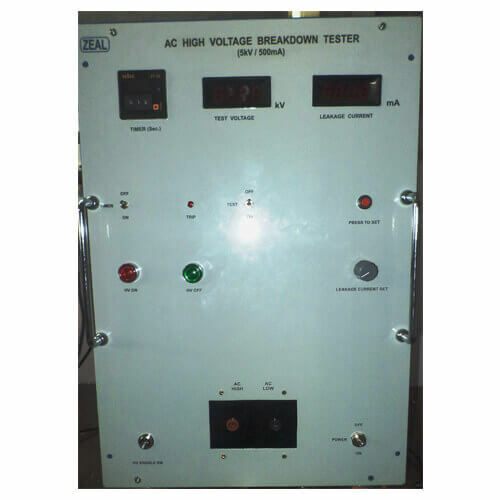 The same test can be used for testing ac / dc values. 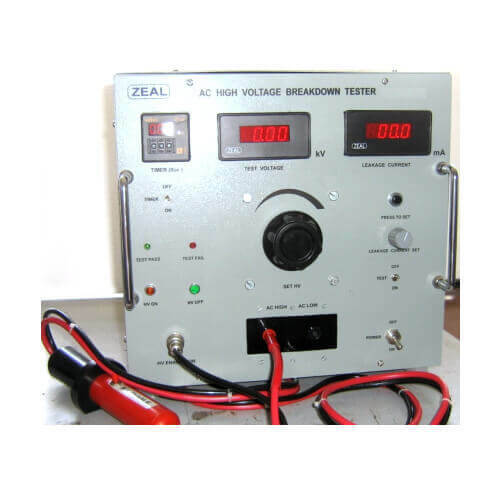 High voltage breakdown can be used to ascertain quality of insulation material before planning their usage in electrical applications. The front panel incorporates all controls for operation of the unit. 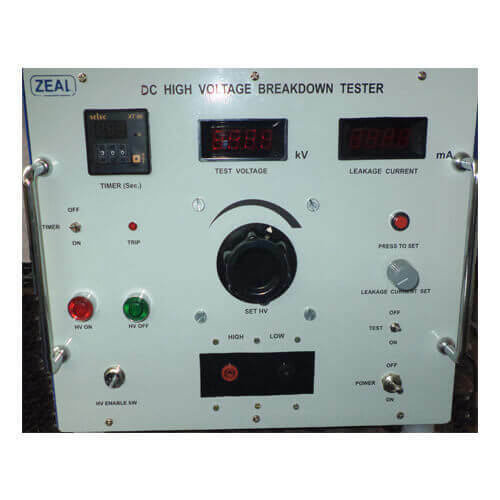 Easy to use test probes with micro-switch supplied to connect the output high voltage to the device under test. Trip current settable by press to set switch and potentiometer on mA meter. Settings Trip current settable by press to set switch and potentiometer on mA meter. 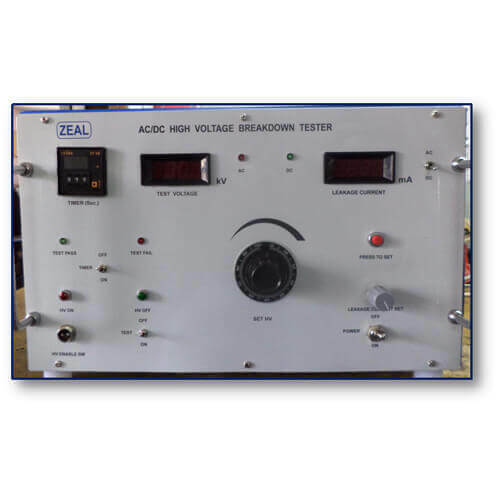 Test Voltage Range Settable by knob of Variac. Programmable Timer 0 to 999 second with timer ON/OFF switch.